Punching Nazis is something of a time honored tradition in the United States. So is making memes. It seems natural then that the Internet wouldn’t waste any time in making a video of white supremacist and neo-Nazi Richard Spencer getting punched in the face go viral. While the United States was late getting into WWII, ever since helping to defeat the Axis Powers, Americans have prided themselves on stories and myths about their heritage and its legacy in keeping fascism at bay. 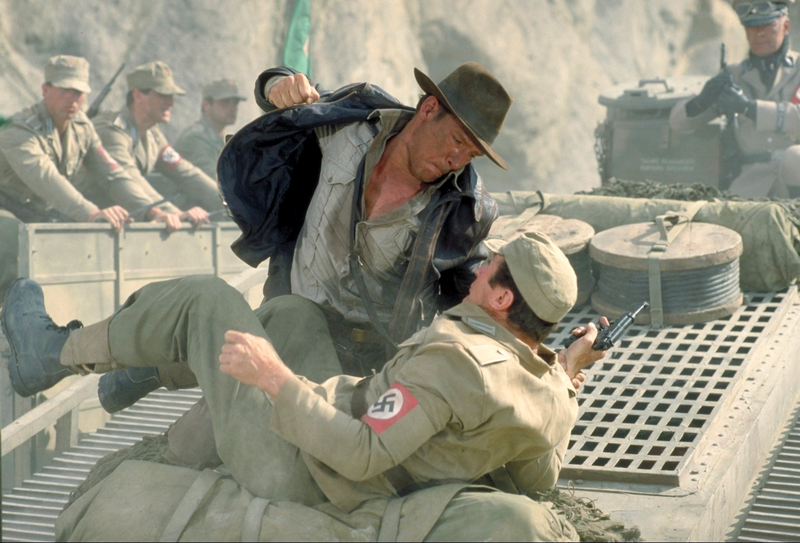 Indiana Jones punched Nazis. Captain America punched Nazis. There was even an entire series of video games based around wrecking Nazis. And on Inauguration Day, 2017, people are still doing it. Yesterday, during Trump’s inauguration, a man by the name of Richard Spencer was being interviewed for a documentary when some guy in a black hoodie came up and royally sucker punched him. Regardless of the morality of the event in question, however, what’s not in dispute is how ferociously the Internet has latched on to it to generate what’s sure to be one of 2017's most unforgettable memes. There was this video, for instance, uploaded to Youtube, showing Spencer losing all his rings a la Sonic the Hedgehog. One included the video recontextualized as a play of the game from Overwatch. Another treated the moment like Little Mac dishing out a Star Punch from the NES’s Punch-Out!! One particularly amazing one stuck Spencer getting punched in the face as the denouement to the startup screen for Nintendo’s GameCube system. And then there was a brilliant one setting Richard Spencer getting punched in the face to Guile’s theme from Street Fighter. As a Major in the United States Air Force, I’m sure Guile, if he actually existed, would be proud. Of course, the moment also seemed perfectly suited to any number of anime punches. You know, those ones that lead to explosions and earthquakes. But of course there weren’t just video game memes to come out of Spencer getting punched in the face. It turns out that a neo-Nazi getting puched in the face also goes great to a lot of iconic songs. And anyone who remembers this SNL sketch featuring Imogen Heap which was making fun of the OC will recognize the genius of McElroy’s work below instantly. Memes rarely die, and I have a feeling this one in particular will stay alive for a very, very long time.